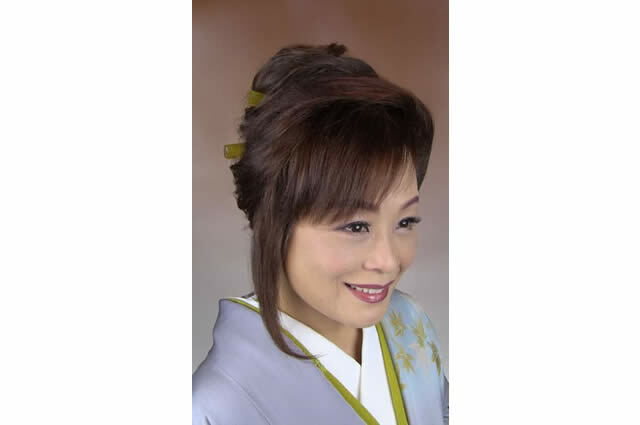 Akiko Kanazawa (born on October 25th, 1954) is a minyou (Japanese folk) singer. Born in Ichikawa city, Chiba. Started singing folk songs from childhood due to the influence from her father who was an amateur folk singer who specialized in “Tsugaru folk songs”. In 1970, won the national competition held by the Japanese Minyou Association at the age of 16. In 1975, debuted with the album “Wakai Minyou” from Victor Entertainment. In 1982, the song “Yellow Submarine Ondo”, produced by Eiichi Ootaki” became a hit. However, due to the song being a memorial for the 20th anniversary since the Beatles began their band, it was criticized by devout Beatles’ fans. Currently sings mainly “enka” rather than minyou songs.